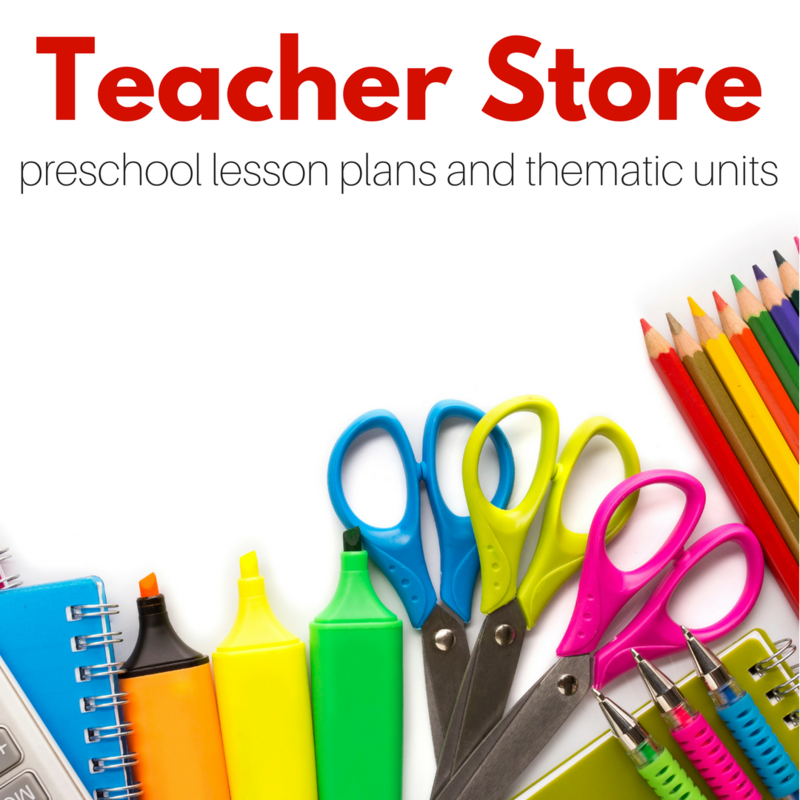 One of the most important jobs of a preschool teacher is to find classroom toys and materials that will support learning and inspire play. 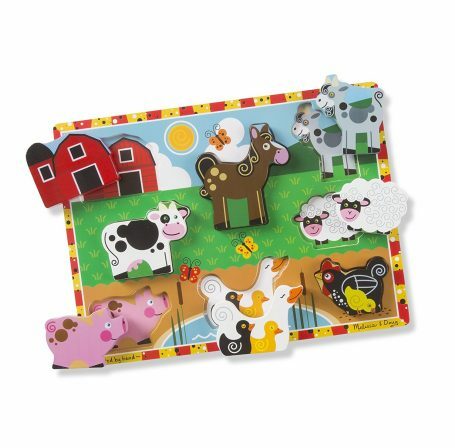 Puzzles should be in every preschool classroom, and the toddler room is no exception. Yes, toddlers can make a mess of puzzles, but when you see that as a learning opportunity and not a nuisance, your whole outlook will change. 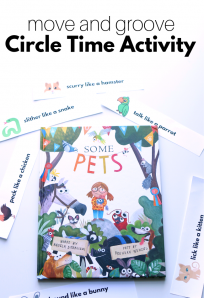 You can use puzzles for free choice, after snack as a calm activity for fast eaters, and of course during nap time for children who either do not nap or wake early. 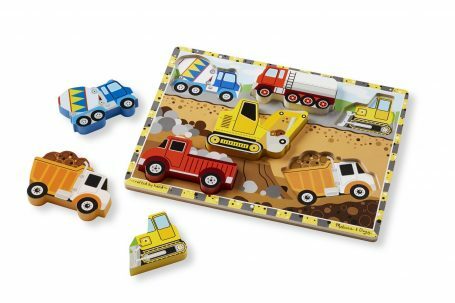 Puzzles help to develop some skills, such as recognizing patterns, problem-solving, hand-eye coordination, fine motor skills and more. 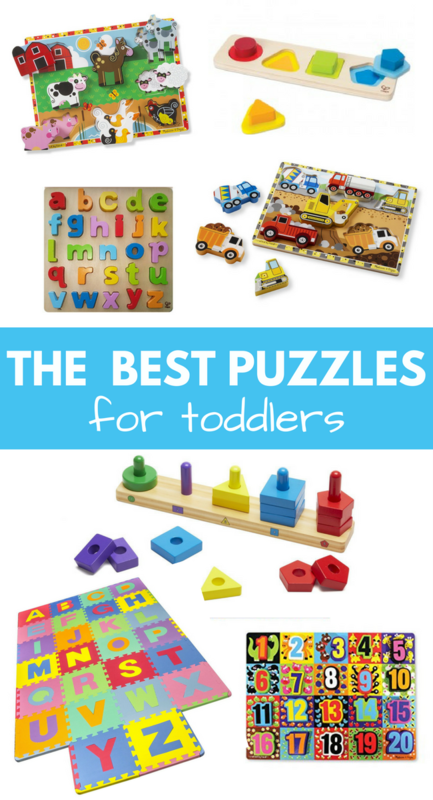 Below you will find the best puzzles for toddlers in your preschool, daycare, or home! These puzzles are fun any time of year but if your classroom follows weekly or monthly themes puzzles like these can add to that theme. 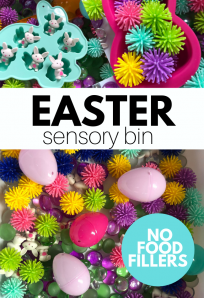 The chunky pieces make them safe as far as choking goes, but they are also easier for fumbly toddler hands to hold. 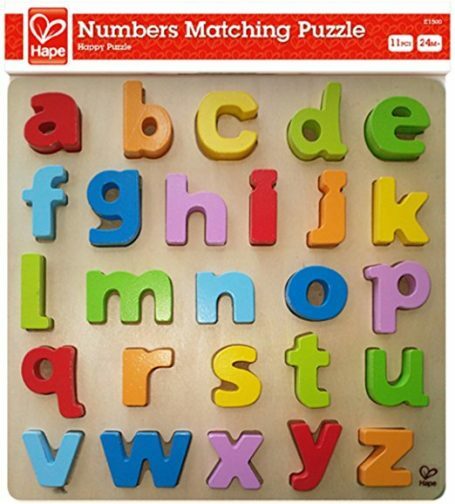 Another great way to use puzzles is to use them to introduce and play with letters and numbers. 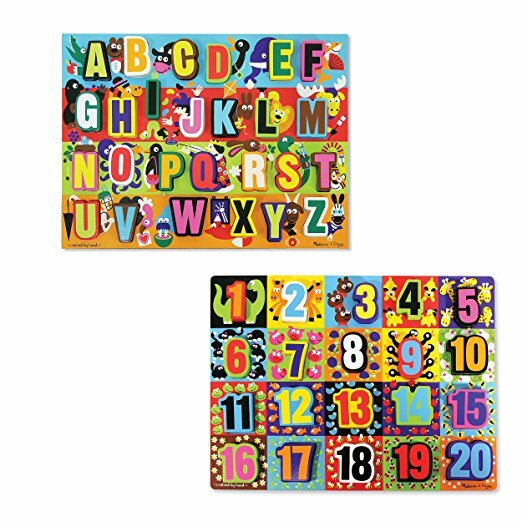 In my classroom these puzzles were staples, the children would work in pairs with these puzzles, and I loved hearing one tell the other which number or letter they were holding. 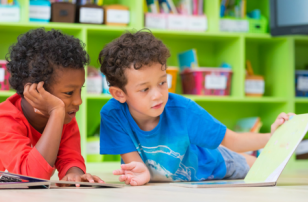 Remember just as teachers can scaffold a student, students can scaffold for each other too. 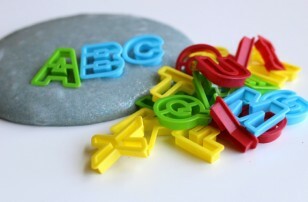 Also, these chunky pieces are great in sensory bins, and for letter/ number hunts. 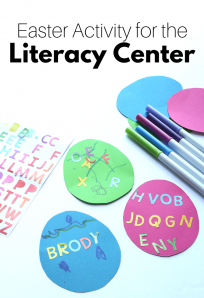 This puzzle is a rarity, a lowercase letter puzzle! As you know, there is much debate about whether children should be taught Uppercase or lowercase letters first. I have always taught them concurrently however many preschoolers come to school with uppercase letter recognition. 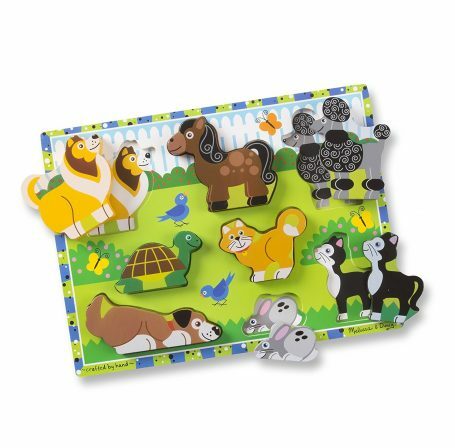 This puzzle is a great one to add into any preschool class. This sorting puzzle is my absolute favorite because for a small amount of real-estate on my shelf it packs in a ton of learning. Shape sorting, color sorting, and even sorting by size. 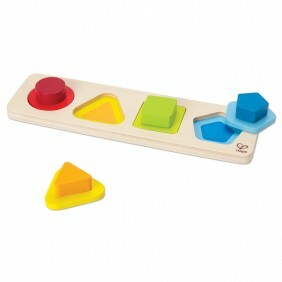 While all of these puzzles for toddlers include matching this simple shape one is great for young classrooms. 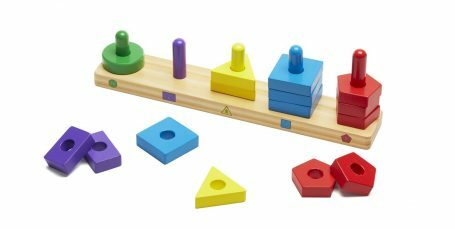 There aren’t too many shapes/colors to match so even very young children can tackle this challenge without too much help. 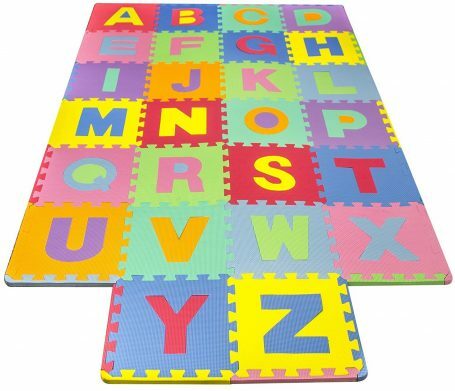 Floor Puzzles like this alphabet one are a must for every preschool class. I love pulling this out and seeing who starts doing the puzzle together. I have never bothered to place it in alphabetical order, I break the puzzle into 26 pieces and let my students build it. I love seeing them stomp on the pieces to make them fit and usually after it’s made I ask them to find “their letter” ( first initial) or some other simple way to use it interactively. Of course, if you grab some great wooden magnets you can turn them into a great puzzle! Check out this video to see how. 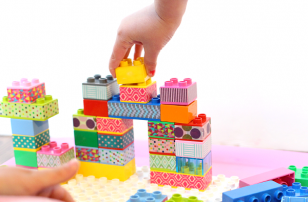 Next Post: Developmentally Appropriate Practice – 3 basics you need to know.